The Lower Thames Valley Conservation Foundation protects the privacy of all participating non-profit organizations. There is complete anonymity in the application process, with absolutely no agency-specific information released to any outside organization. If you have any questions or concerns regarding the privacy practice of the Lower Thames Valley Conservation Foundation address them in writing to the President by email to Yournature@lowerthamesfoundation.ca or by mail to R.R.#1, 8449 Irish Drive, Mount Brydges, Ontario, N0L 1W0. The Lower Thames Valley Conservation Foundation only collects personal information from users if that user voluntarily provides us with such information by making an application to the Lower Thames Valley Conservation Foundation, requesting information or a publication, by submitting a question or comment to the Lower Thames Valley Conservation Foundation or by making a donation or other contribution. Users are under no obligation to provide us with this information and may access our website or see other information without providing any personal information. By volunteering this information users agree to its collection for the purposes stated below. a. 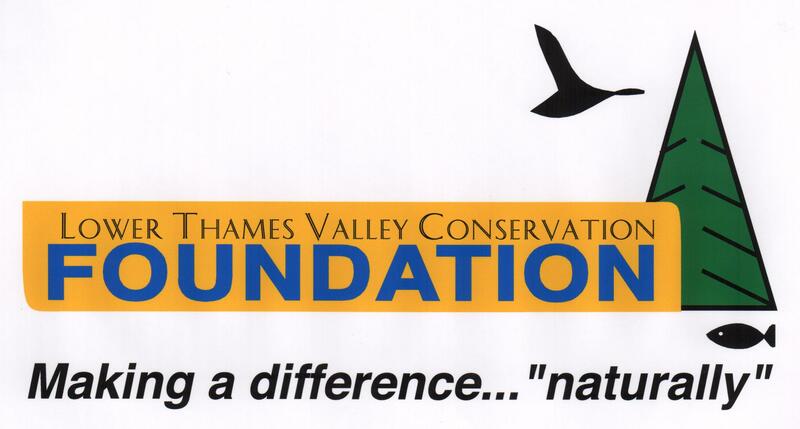 As part of the application process for the Lower Thames Valley Conservation Foundation. b. To provide users with email updates (if requested) of the activities of the Lower Thames Valley Conservation Foundation. c. To keep aggregate information on requests for information. d. To maintain records of donors, members and volunteers. The Lower Thames Valley Conservation Foundation will protect the privacy of all parties who have provided personal or identifiable information. There is absolutely no specific identifiable information released to any outside organization. An individual’s or agency’s information is only used in connection with the purposes identified in paragraph 4 of this policy. Individual or agency information collected by the Lower Thames Valley Conservation Foundation will not be sold or made available to third parties. Information collected for the purpose of applying for support from the Lower Thames Valley Conservation Foundation or for the purpose of making a donation or gift to the Lower Thames Valley Conservation Foundation is retained as long as required by the Canada Customs and Revenue Agency for tax and audit record keeping purposes. To change or modify information previously provided to Lower Thames Valley Conservation Foundation, simply send an email with the required changes to Yournature@lowerthamesfoundation.ca. a. Access is restricted to the Lower Thames Valley Conservation Foundation records to authorized officers of the Lower Thames Valley Conservation Foundation only. Foundation by use of a password. c. The Lower Thames Valley Conservation Foundation server contains firewall protection. Further, all directors and officers of the Lower Thames Valley Conservation Foundation are made aware of the importance of maintaining the confidentiality of our users’ personal information. The Lower Thames Valley Conservation Foundation is committed to making readily available to individuals information on our policies and practices. To review your personal information collected by the Lower Thames Valley Conservation Foundation, please direct your request in writing to the President by email at Yournature@lowerthamesfoundation.ca or by mail to The Lower Thames Valley Conservation Foundation, R.R. #1, 8449 Irish Drive, Mount Brydges, Ontario, N0L 1W0. If you wish to challenge THE LOWER THAMES VALLEY CONSERVATION FOUNDATION’S compliance with the Personal Information Protection and Electronic Documents Act, please address your concerns in writing to the President by email at Yournature@lowerthamesfoundation.ca or by mail to The Lower Thames Valley Conservation Foundation, R.R.#1, 8449 Irish Drive, Mount Brydges, Ontario, N0L 1W0. If you are not satisfied with our response to your challenge, you may submit a complaint to the Federal Privacy Commissioner within six months. Appeals from decisions of the Federal Privacy Commissioner may be made to the Federal Court of Canada within 45 days after the Commissioner’s report is sent.